Now the big question is -- do I wait until next week to make these delicious potatoes with leeks and thyme for Thanksgiving dinner? ... or, do I make them tomorrow, because I just can't wait? The first time I made them was a test for a cooking class. 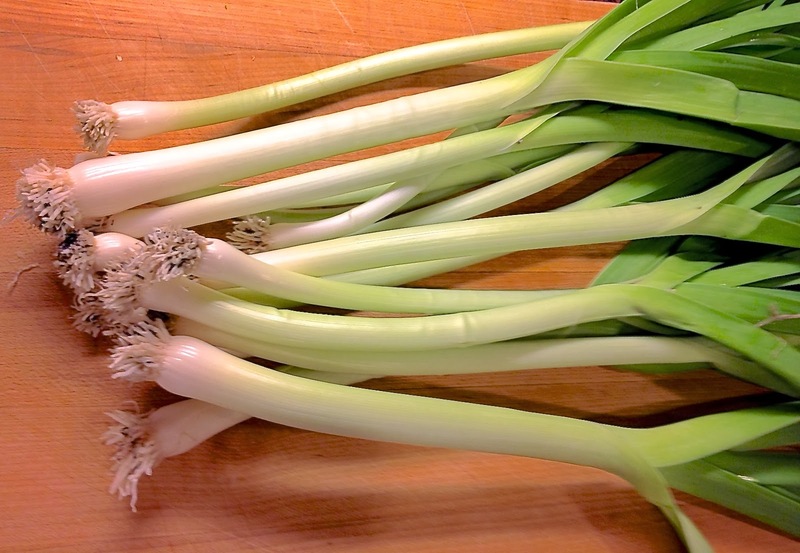 It was love at first bite, especially the smooth, sublime flavor of leeks sauteed in butter, punctuated with fresh thyme -- not at all brash or pungent, as onions or garlic can sometimes be. The cooking class students who have made them since then also love them, including how easy they are to prepare. It is always very satisfying too get emails a few days after a class, saying they actually prepared the entire menu to rave reviews at home -- especially the mashed potatoes! During this busy holiday season, isn't it nice to have a recipe that is just a little bit different and special for company dinner? These potatoes will not steal the show from Tom Turkey, but they will add to the enjoyment of the meal -- including that of the smart cookie, who prepares them ahead of time! In an large pot, combine potatoes with cold water to cover by 2 inches. Bring water to a boil and simmer potatoes until tender, 35-45 minutes. While potatoes are cooking, in a heavy skillet cook leeks in 4 tablespoons of butter over moderately low heat, stirring occasionally, until softened. Stir in thyme and salt and pepper to taste. Drain potatoes in a colander and return to pot. Dry potatoes over low heat, shaking kettle for 1 minute. Cool potatoes just until they can be handled and remove skins. While potatoes are still warm, mash by hand, until smooth, but with small chunks remaining. In a small saucepan, heat milk and cream until mixture just comes to a boil. Stir milk mixture into potatoes and season with salt and pepper. Spread potato mixture in a buttered 4-quart shallow baking dish. Cover and chill potato mixture for 1-2 days - improving flavor and saving time. Preheat oven to 350° F. Dot potato mixture with more butter and bake, covered with foil, in middle of oven, until heated through and butter is melted, about 15 minutes.